It's Monday 12/27! What Are You Reading? It's the last Monday of 2010! Hard to believe, isn't it? I hope everyone enjoyed the holidays with their families and got lots of books as gifts! If you're interested in seeing which books we received this Christmas, check out my blog posts on books the kids got and books my husband and I got. Looks like 2011 will be another good reading year! I finished Crossing the Tracks, a new teen/YA novel by Barbara Stuber, and posted a review at Great Books fro Kids and Teens. 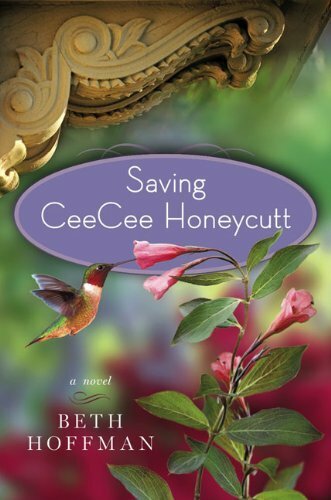 I read Saving CeeCee Honeycutt by Beth Hoffman, a novel mostly set in Savannah, GA, that made a few "best of 2010" lists. I enjoyed it very much and posted a review. Last night, I started a middle-grade/teen novel I've been dying to read: Pendragon Book 10: the Soldiers of Halla by D.J. MacHale. The Pendragon series is one of my all-time favorites for kids and teens (and me! ), and I'm both excited and sad to finally be reading the last book of the series. I thought it was a good one to take on our trip (long but lightweight paperback and very compelling!). My husband, Ken, finished Leviathan by Scott Westerfeld (and loved it). I was hoping to post a review of Leviathan and its sequel, Behemoth, but I don't know if I'll have time to finish it before I go. Ken started Roastbeef's Promise by David Jerome, a hilarious road trip novel that I reviewed this past spring. He's been laughing out loud and reading passages aloud to me, so I think he's enjoying it! Jamie, 16, is still working on The Magician of Hoad by one of his favorite authors, Margaret Mahy (he loved her earlier novel, Madigan's Fantasia). He's been too busy playing on his new ping-pong table and in the rare snow we got yesterday to read much, but he just ran upstairs to pick out books for our trip. Jamie does not travel light when it comes to reading material! He will read through our entire 6-hour trip. Craig, 12, isn't currently reading anything, since school is out, but I hope to entice him with his new Christmas books. I also posted one other review of Still Alice, a wonderful novel by Lisa Genova. I better get to my packing. Hope you have a wonderful and relaxing holiday week and a Happy New Year! Talk to you again in 2011! (What are you reading Mondays is hosted by Sheila at Book Journey). My mom read Saving CeeCee Honeycutt by Beth Hoffman on our recent Thanksgiving vacation and handed it to me as soon as she finished it! I enjoyed this coming-of-age tale very much. First, let me admit that I'm not a big fan of so-called Southern fiction. Certainly, I loved some of the exemplary books that started this genre (I don't really think it should be its own genre) like The Secret Life of Bees by Sue Monk Kidd and all of Rebecca Wells' novels, but there have been a lot of shallow copycats getting by with their southern setting and the requisite cast of colorful women characters. Saving Cee Cee Honeycutt has those elements, but it also has a surprising emotional depth. Yes, it has the wise, kind black servant woman who takes the damaged child under her wing amid homestyle southern cooking, but this novel also deals with some very serious issues, including racial discrimination and mental illness, with intelligence and grace. The story begins in the north, with CeeCee, a young girl in Ohio, who has spent most of her life taking care of her mentally ill mother, while her father stays busy (and stays away) traveling for work. When tragedy hits, CeeCee is taken in by her great-aunt Tootie (I had a great-aunt Tootie, too!) whom she hasn't seen since she was an infant. Tootie whisks her away to her beautiful home in Savannah, where the healing process begins. I found the novel compelling, its characters interesting, and its plot unique. I thoroughly enjoyed reading it. My only complaint - and it's a minor one - would be the lack of any decent male characters at all. Every single man in the novel (with one exception who was dead) was either a liar, a cheater, a jerk, or all three. While I'm all for girl power and understand that the main theme was the healing power of women, I felt the lack of any good male characters at all felt a bit artificial. As I said, it's a minor complaint, as the novel overall was very satisfying, even to a northern girl like myself. And if you generally like Southern fiction, then you'll love this novel even more. We had a nice, quiet day at home yesterday, just the four of us. As is typical here, LOTS of books were exchanged as gifts. I just love getting new books for Christmas! Ken gave me two books by Laura Hillenbrand, Seabiscuit and her latest, Unbroken. The author is near and dear to my heart because she has the same illness I have (only even more severe), yet has written these two amazing best-sellers. She's an inspiration to me, both as a patient and a writer, and I can't wait to read her books! He also gave me Room by Emma Donoghue which made me squeal, "Oh, my gosh! How did you know?" I'm dying to read this top book of 2010 that everyone has been talking about. I gave Ken the latest from his favorite author, Lee Child, Worth Dying For. 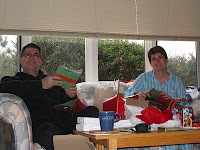 I also included a paperback in his stocking, Breathless by Dean Koontz. He and I both used to read every Dean Koontz book that came out, but we haven't read him in years. This one sounded intriguing. Our son, Jamie, gave his dad Pirate Latitudes by Michael Crichton. All of us love Crichton, and Jamie really loved that this book is set in Jamaica where we just vacationed in November. I suspect he may be borrowing it when Dad is finished. Jamie gave me a Borders gift card - he knows I'll have a blast shopping for books! I hope you all enjoyed a lovely Christmas with your families and are diving into your new books! I have wanted to read Still Alice by Lisa Genova for a long time because I kept hearing great reviews, and its premise sounded intriguing. So, even though I have a shelf full of books waiting to be read here at home, it called to me from my library's New Paperback Releases shelf; I'm so glad I made time to read it. It is a powerful, emotional novel about a 50-year old woman dealing with early-onset Alzheimer's disease. Alice is a highly intelligent and accomplished professional woman, a cognitive psychology professor (yes, that's a bit of irony) at Harvard who is asked to speak at conferences around the world. When she begins to notice some memory problems, she assumes it is probably due to menopause. The novel follows her through her devastating diagnosis, telling her family and friends, and through the course of her illness. When I started this book, I wondered if it would really capture my attention, since it would seem you already know at the beginning how it will end, but Alice's story was riveting. Interestingly, I found I could relate to some of Alice's experiences in adjusting to life with a serious illness. Though my own chronic illness is not progressive and fatal like Alzheimer's is, many of Alice's struggles with acceptance, frustration, and adapting to her new limitations struck a chord with me. As I read, I grew to love Alice and found myself rooting for her, cheering for small victories in the face of such a horrible illness and crying for her increasingly common defeats. It is a powerful, engaging story that will be of particular importance to readers who know someone with Alzheimer's. Though it is sad at times, at its heart, this novel is about the strength of the human spirit and its capacity for joy and love. I listened to David Sedaris' essay collection, Holidays on Ice. Not your typical Hallmark Channel-style holiday fare, but I really like Sedaris. A couple of these essays were hilarious, and I love listening to him read them himself. During our trip this weekend, our family listened to A Million Shades of Gray by Cynthia Kadohata, a riveting novel for middle-grade readers (though we thought it definitely more appropriate for older kids/teens) about a young boy who's training to be an elephant handler, living in Vietnam during the war. We're not quite finished, but it's been excellent so far. It's Monday 12/20! What Are You Reading? Whew, it's been a whirlwind week, with another revving up today. I spent most of last week toiling away on our year-end photo DVD, with two frantic days spent trying to figure out how to get movies off our camcorder and onto my computer (don't you hate problems like that??). I was finally successful and burned a pile of DVDs just in time to finish wrapping gifts for my family and hit the road on Friday. We spent the weekend celebrating Christmas (and two birthdays) with part of my family in Connecticut and returned home last night. Now I have to finish my shopping for the kids, get groceries, bake cookies, wrap gifts....'tis the season! I finished Behemoth by Scott Westerfeld, the sequel to Leviathan. It was excellent - I can't wait for book 3. My husband was intrigued by my and my son's accolades, so he read Leviathan last week, too, and loved it! In fact, he brought it to my mom's house, and my 4-year old nephew was fascinated by the amazing illustrations in Leviathan. He sat with me for 30 minutes, going through the entire book and looking at the pictures - the only time he sat still all weekend! 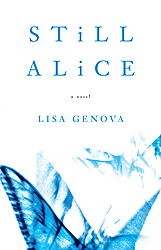 Even though I have stacks of books waiting to be read on my own bookshelf, I picked up Still Alice by Lisa Genova from my library's new paperback releases shelf last week and read it. I have been wanting to read this book for ages, and I'm so glad I did. It's a novel about Alice, a 50-year old professor at Harvard who is an accomplished and brilliant professional, and her journey with early-onset Alzheimer's. It is a heart-breaking but compelling book - I could hardly bear to set it down. I'm now reading a teen novel, Crossing the Tracks by Barbara Stuber. It's about a 16-year old girl whose father sends her to live with another family in a small town as a housekeeper. The novel is set in Kansas in 1926, and I'm enjoying it very much so far. Jamie, 16, finished The Stand by Stephen King last week during a couple of sick days. He said it was excellent, though he was a bit disappointed by the ending. He prefers neat, happy endings and thought too many people died in this novel. Jamie has now turned to the considerable stack of books that have been piling up while he read The Stand! His first choice was The Magician of Hoad by Margaret Mahy. Her earlier novel, Madigan's Fantasia, still ranks as one of Jamie's all-time favorite fantasy novels. He says Mahy's novels have very complex plots, and you never now what is going to happen next. He's enjoying this one very much so far. Craig, 12, is busy today performing in 8 concerts! He's in both band and chorus and has concerts all day for his classmates, then two tonight for parents. So, he's had very little free time lately! His class finished reading A Christmas Carol by Charles Dickens. Much to my disappointment, we haven't had any time to read aloud from our favorite Christmas picture books yet this season, but I'm sure we'll get to at least a few this week. We haven't watched any favorite Christmas specials yet, either - I'm sure it's partly the result of my kids getting older, too. 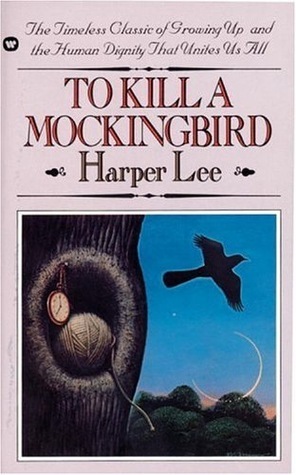 I did manage to post a couple of reviews last week, of the teen/YA novel Empty at Great Books for Kids and Teens , and of a classic, To Kill a Mockingbird, here. What are you and your family reading last week? What can I say about this 50-year old timeless masterpiece that hasn’t already been said? I recently read To Kill a Mockingbird by Harper Lee for the second time, for one of my book groups. I read it for the first time three years ago, for my other book group! There’s good reason why this classic has stood the test of time and is still so popular with book groups. Although I remembered the basic plot and that I liked the book very much, I was still astonished by the way I responded to it the second time around. Within the first few pages, I was laughing out loud and in awe of Harper Lee’s talent for telling an interesting, funny, heartwarming and thought-provoking story. Everything about To Kill a Mockingbird is just so clever, so perfectly formed. I was especially impressed this time around with the way that she tells us about a horrifying injustice through the eyes of the innocent Scout. It provides such a different perspective than, for instance, reading the same story told as a modern legal thriller. In particular, the scene in front of the courthouse at night, when Scout faces an angry mob with such naiveté, is just breath-taking. And besides, who can resist those descriptions of Scout’s first day of school and her encounters with the teacher who is upset to find that she already knows how to read and write? I was laughing out loud from the very first chapter. This is definitely one of my favorite books – top five, if not best of all time. It's Monday 12/13! What Are You Reading? Whew, what a busy week! 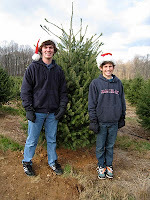 My husband was out of town again last week, so I was on my own with the kids and the house, plus a few last 2010 writing assignments, plus the very long list of things to do for Christmas. I did manage to finish most of my online shopping, so that's good. We have a rather lengthy Christmas celebration because none of our family lives here in Delaware. So, it starts this weekend with a trip to Connecticut to celebrate Christmas (and two birthdays) with part of my family, then back home for a few days, then out to Oklahoma to visit my father-in-law. This week's big jobs are finishing our year-end photo DVD so I can get copies in the mail and getting Christmas cards out. I ordered them back in November so I'd be on top of things but haven't sent a single one out yet! I finished To Kill a Mockingbird by Harper Lee and even made it to my book group discussion! It was my second time reading it, and I loved it even more this time. It is one of the best books ever written - so clever and funny and sweet and thoughtful. Love it. I mentioned last week I finished the audio version of Leviathan by Scott Westerfeld. I enjoyed it so much that this week, I started the newly released sequel, Behemoth (book version this time). I'm almost finished, and it's excellent. My husband is just finishing up The Bricklayer, a suspense novel by Noah Boyd - he says he already knows how it ends! Jamie, 16, is at the end of The Stand by Stephen King. He's home sick today, so he'll probably finish it. Craig, 12, is reading A Christmas Carol for his 7th grade English class. It's one of his favorites because we listen to it on audio every year. Although I didn't post any reviews, I posted a few Best of 2010 Lists: links to Best of 2010 Lists for grown-up books from amazon and BookPage, and on my other blog, Great Books for Kids and Teens, I posted links to two kids/teen lists from amazon and Publisher's Weekly and another Best of 2010 List from BookPage. It's that time of year again...time for all the Best Books of the Year lists! I don't often have a chance to read brand-new hardcovers, but I follow book news of new releases pretty carefully and add the ones that sound good to my ever-growing To-Be-Read list. Here's BookPage's List of the Top 40 Books of 2010. I haven't read any on this list yet, but several are on my TBR list, and a couple are sitting on my shelf waiting: The Passage (birthday gift) and Saving CeeCee Honeycut. I'm dying to read The Immortal Life of Henrietta Lacks, and Unbroken is on my Christmas list! Amazon's 100 Best Books of 2010 is an annual tradition. Their Editor's Choice list has many of the same titles as BookPage's but also includes some more popular titles. I've read one on this list, The Girl Who Kicked the Hornet's Nest. How about you? Have you read any of the top books of 2010? Do you agree with the books on these lists? What are your top books of 2010? I'll wait until the year is really finished before I put my own list together. (If you're interested in kids' and YA books, check out the lists at Great Books for Kids and Teens). It's Monday 12/6! What Are You Reading? Well, the holiday season is now in full swing! We were relaxing on the beach a little more than a week ago, and now it’s cold and almost Christmas. Very weird. 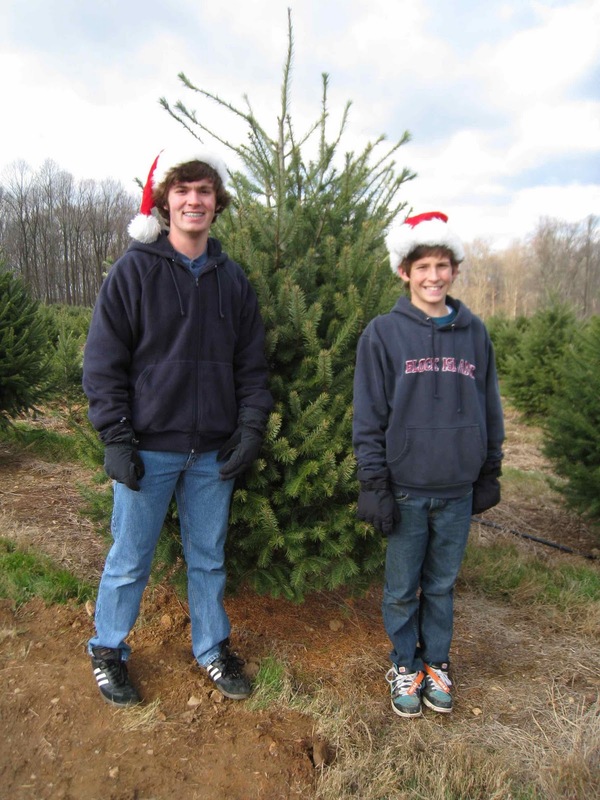 We went to our favorite tree farm this weekend and picked out a tree, then decorated it on Sunday (one of our favorite parts of the season). I've been scrambling to order gifts (I've ordered lots of books! ), make our annual photo calendars, and manage other tasks. 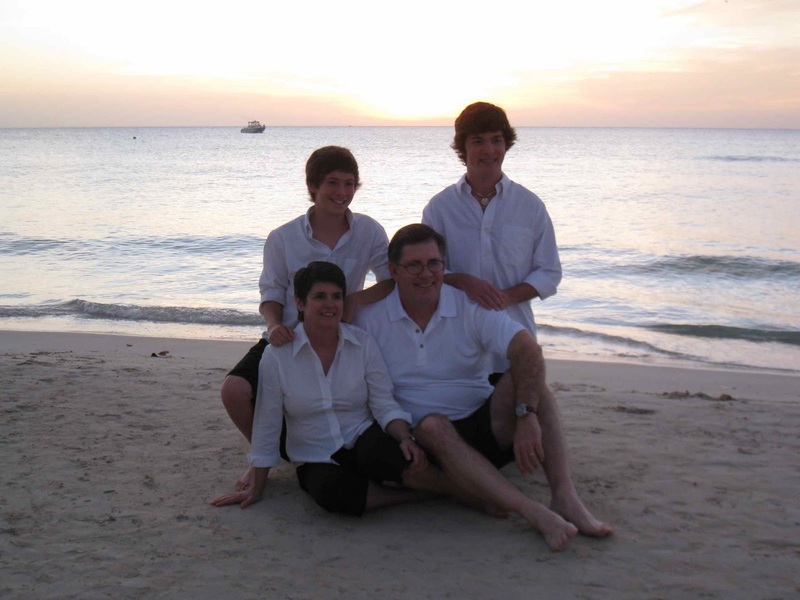 This week's big project is the annual DVD of family photos I put together every year. I'm sort of our family's unofficial photographer and memory-keeper! I read a new teen novel, Empty by Suzanne Weyn, a cautionary tale about what could happen when the world runs out of fossil fuels and how a group of teens cope. It was frightening but compelling – review to come this week. I’m in the middle of To Kill a Mockingbird by Harper Lee for my book group this week. It’s the 50th Anniversary of this classic, and I’m enjoying it just as much as I did the first time I read it, a few years ago. It’s one of the best books ever written, in my opinion. I finished listening to the audio of Leviathan by Scott Westerfeld, a middle-grade steampunk novel. Jamie read the book ages ago and told me it was excellent. He was right! Now I’m motivated to read the sequel, Behemoth, which was recently released. Jamie, 16, finished his vacation reading and returned to The Stand by Stephen King, though school work is keeping him pretty busy. Craig, 12, is not only reading but happy about it! His English class is reading A Christmas Carol by Charles Dickens, which is a perennial favorite at our house. We usually listen to one of the many audio versions each season at this time. Last year, we enjoyed the one read by Patrick Stewart. Craig said this weekend, “It’s such a great book!” I’m thrilled to see him enthusiastic about reading for a change. My husband, Ken, is reading The Bricklayer by Noah Boyd, a thriller paperback. Last week, I posted reviews of The Age of Innocence by Edith Wharton and Brixton Brothers and the Case of the Case of the Mistaken Identity, a humorous middle-grade mystery, at Great Books for Kids and Teens. I also posted a summary of all the books I read in November. My book group decided to read a classic this month (in fact, both of my book groups did! ), and we chose Edith Wharton's The Age of Innocence, an author I had never read before. It provided a nice escape during my vacation last week on the beach. Winner of the 1921 Pulitzer Prize, The Age of Innocence is about a love triangle set in the 1870's high society of New York City. While I enjoyed it overall and can certainly see how Wharton's beautiful writing won the Pulitzer, I'm not generally a huge fan of period novels, especially those set in high society. I find I get a bit impatient with the characters, as their strict societal rules keep them from relating to each other honestly. Perhaps this is why I have still never read a Jane Austen novel (though I do still plan to). Despite this (not Wharton's flaw but my own! ), I did admire the way Wharton drew a picture of a long-lost time and place. She transported me back in time, and I had no trouble finishing the book. In fact, I have requested the DVD of the movie from the library. One of the things I love about book groups is how they help me broaden my reading horizons, and I'm glad to have read this classic. I know I say something similar every month, but I am still stunned that it is somehow December already - where did the fall go? Unwind by Neal Schusterman, a chilling and compelling dystopian teen novel. Beloved by Toni Morrison, a powerfully emotional book about slavery and its aftermath in the lives of one family. Touch Blue by award-winning author Cynthia Lord, a sweet middle-grade novel about family and foster care, set on an island in Maine. Brixton Brothers: The Case of the Case of the Mistaken Identity by Mac Barnett, a humorous take-off on the Hardy Boys for young middle-grade readers. The Age of Innocence by Edith Warton, a classic set in 1870's New York City high society, read for my book group (though I missed my meeting and discussion last night). Empty by Suzanne Weyn, a new teen novel set ten years in the future, when the world is running out of oil. All in all, a good reading month. I think my favorite was Unwind - Neal Schusterman has such a way with teen dystopian novels; I couldn't put it down. As you can see, I'm a bit behind in reviews after last week's vacation, but I'm hoping to get caught up this week. I hope you had a good reading month in November, too! It's Monday 11/29! What Are You Reading? Happy Monday - hard to believe it's almost December already! I hope you all enjoyed a wonderful Thanksgiving holiday with your family. We had a very special holiday week. 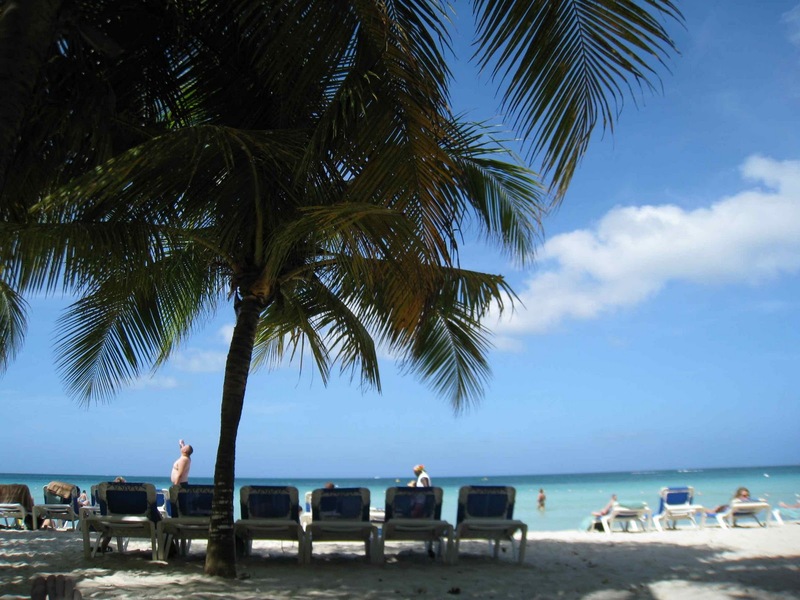 My mom and her husband treated us and my sister's family to a vacation in Jamaica at the Beaches Negril resort! It was our first trip to the Caribbean (aside from Puerto Rico) and our first time at a resort, and the entire week was magnificent. We spent the week swimming, snorkeling, and eating a lot! My chronic illness even cooperated so that I could enjoy the trip - I realized it helps a lot when I have absolutely no responsibilities, no stress, and can sleep for 11 hours a night! I read lots of short books in the busy week before we left, starting with a sweet middle-grade novel, Touch Blue by Cynthia Lord, author of the award-winning Rules. Check out my review at Great Books for Kids and Teens. I finally got to The Sound of a Wild Snail Eating by Elisabeth Tova Bailey, a wonderfully moving and inspirational book written by an author disabled with the same illness my sons and I have, ME/CFS. I'll post a review this week. Before we left, I squeezed in one more middle-grade book, a humorous take-off on the Hardy Boys called Brixton Brothers: The Case of the Case of Mistaken Identity by Mac Barnett. Lots of fun - review to come this week at my kids' book blog. On our trip, I read a classic, The Age of Innocence by Edith Wharton, for one of my book groups that's meeting tomorrow evening. I'm not a huge fan of period novels, so it dragged at times for me, but overall, I enjoyed it. Jamie, 16, decided to leave our hardcover copy of the 1,000-page The Stand at home for vacation (he's somewhere around page 700). Instead, he brought along and read two old favorite paperbacks. He likes to read themed novels when we travel, so he read two novels set among pirates in the Caribbean: Peter Raven Under Fire by Michael Molloy (this might have been his third read of this one!) and The Angel's Command by Brian Jacques. He says both are excellent (appropriate for middle-grade or teens). Craig, 12, read absolutely nothing! That's his idea of vacation. I really need to get him back in the reading habit this week (kicking and screaming). My husband, Ken, spent two weeks in Europe on business, came home for one night, then left with us for Jamaica the next day! He finished New Orleans Mourning by Julie Smith, a mystery novel set among the wealthy high society of our favorite city. He started a new paperback he picked up for his travels, The Bricklayer by Noah Boyd, a new author for him but one recommended by a favorite of his, Lee Child. So, lots of reading and lots of fun. Now it's time to catch up, read those 400 e-mails waiting for me, and get back to writing reviews. Hope you had a great holiday, too! In May 2009, I posted a top ten list of Authors I Can't Believe I've Never Read. One of those was Toni Morrison. I rectified that last week when I read her acclaimed novel, Beloved. It is a powerfully emotional novel, as good as I'd always heard. Set after the Civil War, the novel focuses on Sethe, a mother who escaped slavery in Kentucky with her four children to live with her mother-in-law, whose freedom Sethe's husband bought years earlier. As the story opens, it is just Sethe and her youngest daughter, Denver, in the house. Her mother-in-law died, her two sons left a few years earlier and her other daughter died a long time ago, though we don't know why or how at the start of the novel. There is also a disturbing spiritual presence in the house which effectively keeps other people away and leaves Sethe and Denver isolated. Things change for the two women when Paul D. shows up at the house. He knows Sethe from their days as slaves on the same farm, so they share a lot of memories that both of them would rather forget. The novel explores their shared past in disturbing, compelling flashbacks that begin to explain aspects of their present. These flashbacks were incredibly powerful, telling the personal stories of a horrific time in our shared history. I had a little trouble at the beginning of the novel with the mysterious presence in the house - I'm not generally a big fan of so-called mystic realism - but after a while, I was completely wrapped up in the emotional complexities of the story and its characters. It explores the ways in which our past affects our present lives and the lengths people will go to to protect the ones they love. It is an intense, thought-provoking novel, and I'm glad I finally read it. Now, I still need to work on the other nine authors on my list! It's Monday 11/15! What Are You Reading? Happy Monday! I can't believe it's mid-November already, and the holiday season starts next week - yikes! Things will get really hectic from here out. Last week was a busy one, too. Craig was home sick for two days, I was under the weather myself most of the week, my husband was still out of town, and Craig hurt his knee on Thursday. Typical week with kids, right? He got an MRI Friday night, and we're headed to the orthopedic specialist this morning. It's feeling a lot better, so hopefully, it's nothing too serious. I read a sweet middle-grade novel, Touch Blue, by award-winning author Cynthia Lord. I loved her first novel, Rules, and this one was very good as well. I started The Sound of a Wild Snail Eating, a beautifully written memoir by Elisabeth Tova Bailey who has the same chronic illness I have. So far, it's just as good as everyone said it was. Jamie, 16, is still making his way through The Stand by Stephen King. A friend was teasing him this weekend, "You're still reading the same book?" Jamie said, "It's over 1000 pages long with small print!" Despite all the school work that keeps him busy, he is still finding time to enjoy this novel and says it just keeps getting better and better. I honestly have no idea what Craig, 12, is reading right now. I'm having trouble getting him to read much of anything, and he keeps switching books after reading only a chapter or two! I know he started a Hardy Boys book last week while he was home sick (his version of comfort reading). If anyone has any suggestions of a book for a 7th grade boy that grabs you in the very first chapter, I'd love to hear it! Last week, I posted a couple of fun items: some new videos by the author of Encyclopedia of an Ordinary Life and a trailer for a new movie version of Jane Eyre. I also posted a review of the teen suspense novel, The Deadly Sister on my kids/teen book blog, Great Books for Kids and Teens. (What are you reading Monday is hosted by Sheila at Book Journey). The trend continues as yet another book is adapted for the big screen. This one is a classic: Jane Eyre by Charlotte Bronte. It's been decades since I read Jane Eyre, but I remember loving it. You can see the movie trailer here - it looks pretty good to me! I like the mood and tone of it, with those shots of the lonely, gray moors. It's due for release in March 2011. What do you think of the trailer? Are you interested in seeing it? In February 2009, I posted a review of a unique memoir, Encyclopedia of an Ordinary Life by Amy Krouse Rosenthal. I really enjoyed this funny, warm memoir written with encyclopedia-like entries. Amy has just posted three new videos on YouTube that reflect the same quirky sense of fun that I loved in her book. The first video is a sort of promo for her book, filled with fun little audience-participation hot spots, including opportunities to receive fresh pie in the mail or to appear in another video. Her third video, Standing in a Bookstore Looking at a Book, is an ode to choosing a book that all book-lovers will appreciate. All of the videos are further proof of Amy's cleverness and creativity - hope you enjoy them as I did! It's Monday 11/8! What Are You Reading? I finished Unwind by Neal Shusterman, a teen dystopian novel, and absolutely loved it! I couldn't wait to tell you about it, so I posted a review on my kids' book blog the same day. 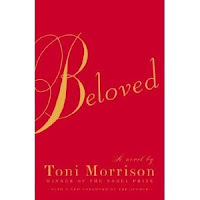 Now, I'm in the middle of Beloved by Toni Morrison for our library book discussion this week. It's a Classic Potluck - everyone reads a classic of their own choosing then tells the group about it. I know some don't consider Beloved old enough to be a classic, but it was included on a list of classics from the library, and I've wanted to read a Toni Morrison book for a long time. She's got an unusual writing style at times, but I'm enjoying this moving story very much so far. My husband took his new mystery, New Orleans Mourning by Julie Smith, with him on his trip, along with Unwind, after Jamie and I raved about it! Jamie, 16, is still reading Fahrenheit 451 by Ray Bradbury for school (he says he's ahead of the class since he read a lot while he was sick recently) and The Stand by Stephen King for fun. Besides the review of Unwind (you must read this book! ), I also posted a summary of all the books I read in October. And check out these details of the upcoming movie versions of The Hunger Games and The Help. I can't wait to see both of them! Yeah!!! One of my all-time favorite novels, The Help, is being made into a movie, to be released in August 2011. This update provides some details, and here are some stills from the movie (apparently, they've already begun filming). It looks so good, doesn't it? I can't wait!! What do you think of the actresses they chose for the lead roles? Will you go see the movie? I didn't read nearly as many books in October as I did in September, but that's a good thing - I tore through a bunch of book last month because I was sick for two weeks. Healthier and busier this month, so I'm not complaining! Blind Descent by Nevada Barr, one of her classic Anna Pigeon thrillers, about a National Park ranger, this one set in Carlsbad Caverns. Half Brother by Kenneth Oppel, a warm, funny, and thought-provoking teen novel that I loved about a boy whose parents are raising a chimp as a human baby, teaching him sign language. Who Has Seen the Wind by W.O. Mitchell for my book group, a gentle coming-of-age story set in the Canadian prairie. The Deadly Sister by Eliot Schrefer, an enjoyable teen mystery/suspense novel. She's So Dead To Us by Kieran Scott, a teen audio novel with more depth than I expected. All good reads in October! Hope you had a good reading month, too. It's Monday 11/1! What Are You Reading? Eeek! November already? How on earth did that happen? From here on out, time seems to go double-speed through January. Back to October for a moment. 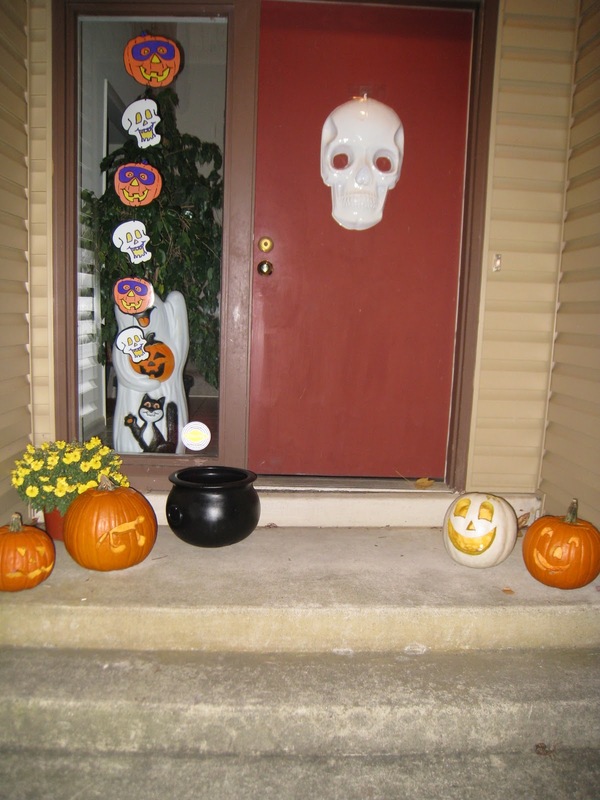 We had a wonderful Halloween weekend, filled with pumpkins, cider, and fun costumes. Our whole family dressed up as rock stars for Halloween (that's me in front), and the boys had a blast trick-or-treating. 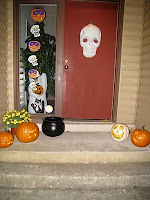 We love our Halloween traditions - fun weekend, but tough to have Halloween on a Sunday night. My son was getting ready for school this morning and said, "Mom, we have a problem!" The insides of his ears were black from the spray-on hair dye! I got him cleaned up before the bus came. Personally, I had a terrible time washing off the black lipstick and eyeliner. I finished The Deadly Sister by Eliot Shrefer and enjoyed it very much. It's a murder thriller for teens/YA with some unexpected twists. Review coming this week. I usually alternate kids/teen books with grown-up books, but I made an exception this week so I could read something spooky for Halloween. So, I'm in the middle of Unwind by Neal Shusterman, a chilling book about a time in the future when abortion is illegal but parents can choose to "unwind" their kids when they're teens, sending them to a harvest camp where all of their organs are transplanted to donors so that life doesn't technically end. I loved Shusterman's Everlost and Everwild, and Unwind is just as good. A perfect Halloween read! My husband, Ken, worked long hours on his business trip, so he just finished Cover Her Face by P.D. James, which he said was a classic British mystery. Next, he's starting a book I gave him for his birthday, New Orleans Mourning by Julie Smith - I thought he'd enjoy a mystery set in our favorite city! Jamie, 16, is still reading Fahrenheit 451 by Rad Bradbury for school and The Stand by Stephen King for fun (he's on about page 500 of 1000!). I don't think Craig, 12, read much at all last week, but he's still working on The Book of Time by Guillaume Prevost, the first book in an exciting, fast-paced time-travel series. I had a lot of fun last week posting my Top Ten Books to Read for Halloween, and I posted a review of Who Has Seen the Wind. I also posted a review of a teen audio book at Great Books for Kids and Teens, She's So Dead To Us (which sounds a bit Halloween-y but really isn't). I just read this novel for my neighborhood book group, and everyone enjoyed it. It's considered a Canadian classic (though I'd never heard of it before), originally published in 1947. It's a sweet coming-of-age story set in the Saskatchewan prairie in the early 1930's. Brian is only four years old when the novel opens, and it ends as he enters adolescence. In between are joys and sorrows, just like in real life, along with tender moments, plenty of humor, and some surprising insights from a young boy. It's not a fast-paced book but easily kept my interest, a "gentle story" as one of my neighbors put it, with a wonderful philosophical perspective that provided plenty of fodder for discussion. For my list of Top Ten Books to Read for Halloween for kids and teens/YA, check out Great Books for Kids and Teens. What are your top picks for Halloween reading? It's Monday 10/25! What Are You Reading? Another Monday after another very busy week. Soccer, school functions, and house guests this weekend. My mom and her husband were visiting. The guys all went to a Ravens-Bills football game, while my mom and I took the train to NYC to see a show on Broadway. We saw Next to Normal which was stunningly good, with amazing music, great acting, and very powerful emotions. So, lots of fun for all of us, but not a lot of reading time! Things should start to slow down a bit, as the boys' soccer seasons begin to wind down. 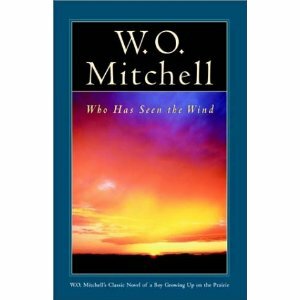 I finished Who Has Seen the Wind by W.O. Mitchell, a classic coming-of-age novel set in the Canadian prairie. It was wonderful - warm and tender, funny, sad - just like real life. My mom is reading it now; our book group meets Wednesday to discuss it. Now I'm reading a teen suspense novel/murder mystery, The Deadly Sister by Eliot Schrefer. I'm only on chapter 9, but it's already a very compelling story about two sisters, one of whom may have been involved in a murder. It's hard to put down! Jamie, 16, made a little more progress on The Stand by Stephen King, unfortunately because he was home sick for much of last week. Jamie also finished Into the Wild by Jon Krakauer for his American Lit class. He said the story was interesting, but he didn't like the way the book was written (he would have preferred to hear the story told from a first-person perspective, but, of course, that's impossible). His class has now started Fahrenheit 451 by Rad Bradbury, an old favorite of mine. When I was in high school, I read every Ray Bradbury book in our public library! Craig, 12, has started The Book of Time by Guillaume Prevost, the first book in an exciting, fast-paced time-travel series. The real surprise is that Jamie and I both loved this series and have been trying to get Craig to read it for years. He likes to be independent, so he rarely takes our advice on reading materials! I think he'll really enjoy this book. My husband, Ken, is still working on his English mystery, Cover Her Face by P.D. James. He had very little reading time last week! Last week on Great Books for Kids and Teens, I posted a review of Half Brother by Kenneth Oppel, a wonderful teen novel about a boy who has a chimp for a baby brother. It's Monday 10/18! What Are You Reading? Rough Monday morning today. I attended an all-day medical conference yesterday on my chronic illness along with two friends. It was wonderful and interesting and very worthwhile...but a long, long day for me. I'm pretty wiped out today. Of course, both boys forgot assignments at home this morning, so I will be making a run to each school...Monday. I finished Half Brother by Kenneth Oppel - review to come this week at Great Books for Kids and Teens. I loved this middle-grade novel about a boy whose scientist parents are bringing up a baby chimp as a human to try to teach him sign language. The book is funny, touching, fascinating, and thought-provoking. I'm now reading a book for my neighborhood book group meeting next week, Who Has Seen the Wind by W.O. Mitchell, a coming-of-age story about a young boy growing up in a prairie town in Saskatchewan. I'd never heard of it before, but apparently, it is considered a Canadian classic. It's enjoyable so far. My husband, Ken, planned to take 2 paperbacks with him on his trip to Texas last week but forgot both at home! So, he bought one at the airport by one of his favorite authors, Robert Crais: The Forgotten Man, a Elvis Cole novel. He says it was very good. Now Ken is back to the novel he started last week, Cover Her Face, a mystery by P.D. James. He was having trouble remembering all the characters last night as he tried to pick up where he left off! Jamie, 16, is still reading The Stand by Stephen King for fun, and Into the Wild by Job Krakauer for school. He was pretty sick last week and struggling to keep up with homework, so he didn't have much time for any reading. I had my hands full last week taking care of the kids and the house on my own while Ken was out of town, but I did manage to post reviews of a couple of old favorite animal middle-grade series, Warriors and Silverwing at Great Books for Kids and Teens. Here, I posted a summary of all the books I read in September (better late than never!) and a short review of Blind Descent by Nevada Barr. P.S. Jamie just texted and said he doesn't need his assignment until tomorrow, and I e-mailed Craig's essay to his teacher...sigh...I love my couch (and my laptop!). Before I discovered book groups and broadened my reading horizons, I read almost exclusively mysteries and suspense novels. I don't often read these mass market thrillers any more, but I do still enjoy a Nevada Barr book once in awhile. Her unique twist? All of her novels are set in National Parks and her main character, Anna Pigeon, is a park ranger. As an avid outdoors person and frequent visitor to National Parks, I really enjoy these books. Blind Descent was somewhat unique, even within Barr's normal approach because it was set in Carlsbad Caverns National Park and much of it takes place underground. There were many passages describing how the "cavers" explored and traveled through dramatic and harrowing underground passages in a lesser-known cave within the Park that only a few people had ever seen. Normally, Anna is a strictly above-ground person, since she has claustrophobia, but she agrees to go along on a rescue mission because the injured caver is a good friend of hers who has specifically requested her presence. It seems like a straightforward - if terrifying - mission, until whispers of murder start to circulate. A very enjoyable read. Ruined, a teen ghost story set in New Orleans. Mockingjay, the fabulous end to the amazing teen/YA trilogy that began with The Hunger Games - highly recommended for teens and adults alike! George Washington's Socks, a time travel adventure novel for middle-grade kids. The Graveyard Book, Neil Gaiman's award-winning story of a boy who grows up in a graveyard, filled with his trademark wit and whimsy. 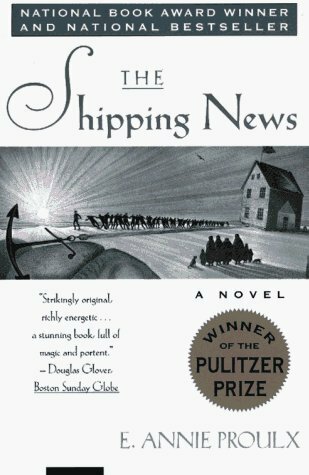 The Shipping News, an award-winning novel set in Newfoundland and populated by quirky characters. 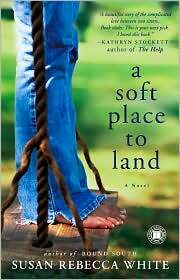 A Soft Place to Land, a novel about the complex and changing relationship between two sisters who lost their parents. Hope you had a good reading month, too! It's Monday 10/11! What Are You Reading? Another Monday morning. We had a wonderful weekend, camping with good friends. The weather was absolutely perfect - I love fall! I finished Blind Descent by Nevada Barr - a satisfying mystery by a favorite author who sets all her novels in National Parks (this one was set in Carlsbad Caverns, New Mexico). My husband, Ken, finished Half Brother by Kenneth Oppel, a middle-grade novel about a family that raises a chimp as if he were a human baby in order to teach him sign language. After he finished it, I picked it up! I'm really enjoying it so far. Oppel is an excellent writer (my oldest son was a huge fan of his Silverwing series) and the premise is fascinating. Ken is traveling this week, so his next book is a slim paperback, Cover Her Face, a mystery by P.D. James. We've both enjoyed her books in the past. Jamie, 16, hasn't had much reading time because of so much homework, but he's still working on The Stand by Stephen King for fun and Into the Wild by Jon Krakauer for his American Lit class. He says he'd enjoy Into the Wild more if he was reading it on his own and didn't have to think about underlining important passages! I want to read it when he's finished. I loved the movie. Craig, 12, is still reading Crispin: The Cross of Lead by Avi for his English class. In conjunction with the book and their study of Medieval England, his class will be going to the Renaissance Faire next week. Last week, I participated in a fun meme, posting my ten favorite authors of kids/teen books at my other blog and my ten favorite grown-up authors here. I also posted a short review of the novel, A Soft Place to Land by Susan Rebecca White. I also posted two new reviews at Great Books for Kids and Teens: Suspect by Kristen Wolden Nitz, a teen mystery, and The Graveyard Book, a delightful middle-grade novel by Neil Gaiman about a boy brought up in a graveyard by ghosts. My long-time readers may remember that I used to do a weekly meme, Ten for Tuesday, with a top ten list each week (you can check out my past Ten for Tuesday posts). Well, someone else has started a very similar weekly meme, and I decided to jump in and participate! 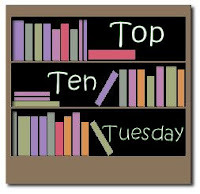 The Broke and the Bookish has a weekly question for bloggers for its Top Ten Tuesday meme (see the similarities?). This week's theme is Top Ten Favorite Authors. Sounds like fun! This is kind of tough, though, because I don't read a lot of authors repeatedly - I spend much of my reading time on new books by authors I haven't read before. But I guess some stand out as repeat favorites. I'll limit this list to grown-up books, but you can read my list of favorite authors for kids/teen/YA books at my other blog, Great Books for Kids and Teens. This was a tough, and I probably forgot a bunch. With a few of these authors, I've only read one book of theirs, but I loved it so much, they became an instant favorite! On the other hand, I left out a few where I loved one book but didn't enjoy another of theirs much. Who are your ten favorite authors? I had never heard of this author, Susan Rebecca White, before but picked up A Soft Place to Land on the Buy 1, get 1 Free table at Borders this summer because it sounded interesting. I ended up enjoying it very much. It's the story of two sisters and their relationship from childhood to adulthood. When I started it, I worried it would be one of those idealized portraits of sisters, but I was pleasantly surprised that it was a well-rounded, realistic view of both the closeness of sisters and the conflicts that can tear them apart. The novel begins with the two girls' parents being killed in a plane crash. The sisters, who are four years' apart, deal with this disaster in very different ways. Over the years, various circumstances and conflicts pull them apart. Although they love each other, they often don't understand each other. I thought the characters, dialogue, and situations were very real and sometimes reminded me of the complex relationship I have with my own sister. Overall, it was an engrossing and enjoyable book. As usual, I'm a bit late on this since Banned Book Week officially ended yesterday, but it still feels like the same week to me until Monday arrives! I just wanted to share a wonderful podcast called Books on the Nightstand. I absolutely love this podcast all about books and listen to it every week while I'm cooking Sunday dinner. I highly recommend the podcast in general and hope you'll check it out. You can listen online, download it from their blog, or download it from iTunes. But, for this week in particular, Books on the Nightstand did an excellent podcast on Banned Books Week (as usual I just listened to it while making Sunday dinner which is why I'm a bit late with this post!). If you have any interest in banned books, you'll enjoy this wonderful podcast. My neighborhood book group read The 19th Wife by David Ebershoff for our 100th book and met at a restaurant last week to celebrate and discuss it. This is one of those books I never would have read if it wasn't for my book group, but I'm glad I did. This novel is really two interwoven stories: the story of Brigham Young's so-called 19th wife who divorced him in the late 1800's and helped to outlaw polygamy and a modern murder mystery set in an isolated religious compound where polygamy is still practiced today. The novel goes back and forth between the two stories and relies heavily on historical fact. In fact, about a quarter of the way through, I skipped ahead to the Afterword to read about how much of it was fact and how much was fiction. The historical context is fascinating (much more so than I expected) and the modern mystery is filled with unexpected twists. After I described the book to my husband, he started reading it himself! This must be a hot topic because on the Today show last week, I saw an interview with a modern-day polygamist and his four wives who are starring in a new reality series on TLC, Sister Wives. I just finished this award-winning novel (it won both the Pulitzer Prize and the National Book Award) for one of my book groups. I saw the movie starring Kevin Spacey years ago and have wanted to read the book for a long time. The author has a strange writing style, filled with odd little sentence fragments, but it grew on me after a while. It's a quirky novel, about a misfit man who's been through some terrible tragedies and moves to his ancestors' home in cold, barren Newfoundland with his two young daughters. Life there is challenging, but he slowly finds his way and feels like he belongs for the first time in his life. It's a warm, tender story, filled with unusual characters. I saw this over at The Little Bookworm, and I loved it! This book is a great example of why I love book groups so much. Of course, I read all the great reviews of this best-seller and heard friends recommend it, but it just didn't sound interesting to me. I finally read it this week for my library's book discussion, and I'm so glad I did! Within the first few pages, I was hooked. This is one of those books that transports you to a faraway time and place. It is amazingly well-written (especially since the male author does such an incredible job of writing from the perspective of a girl and woman) and so compelling. Besides the intricate setting and descriptions of a culture far different than ours, I was fascinated by the moral complexities presented. The world of the geishas is one of contradictions - where orphans are basically sold into a form of slavery but also where prominent families may choose to train their daughters as geisha from a very early age. The geishas are thoroughly trained in the arts, respected, and even honored, yet they have almost no control over their own lives. It's a fascinating, absorbing book. I can't believe I waited so long to read it! I very much enjoyed this third and final book in Stieg Larsson's popular series. It was a bit slow at the start, with lots of details on Swedish politics and history, but I was pulled in right from the first page because I couldn't wait to find out what happened to my favorite characters. This was a satisfying end to an excellent series! Elvis & Olive by Stephanie Watson, a sweet middle-grade novel about friendship. First Light by Rebecca Stead, a middle-grade audio book set in Antarctica. I never know how to categorize books with a time-travel theme...I suppose the theme alone makes it science fiction, but that never seems to fit quite right in a book like this. I really enjoyed this novel about a well-known rock star in 1988 who suddenly finds himself in 1897 Vienna. As with all great time travel stories, it is very thought-provoking, as the man encounters both famous people - like Sigmund Freud and Mark Twain - as well as his own family members as young adults. I find the questions these encounters provoke endlessly fascinating: Can he change the future? If he interferes with his own ancestors, could he affect his own modern life? And in this book...if you could alter history for the better, should you? What unforeseen effects could result? In addition to these fascinating plot elements, the story's setting in turn-of-the-century Vienna is interesting - I had no idea this time and place had such a profound effect on so many aspects of our modern life. All in all, a very satisfying read. Boom! by Mark Haddon, a hilarious British middle-grade audio book. And now it's September - hard to believe! I hope you all had a great summer! NPR's Radio Times featured a book lover's double-header today! The first hour was devoted to a discussion of the phenomenon of Stieg Larsson's wildly popular trilogy, starting with The Girl With the Dragon Tattoo. The guests were the editor of the American editions and a mystery/thriller columnist and blogger. I enjoyed the show so much that I sat in my car in the shopping center parking lot for a half hour! The second hour of Radio Times featured an interview with Anna Quindlen, author (most recently) of the novel Every Last One. This was a rebroadcast, and I had heard most of it before, but it's an excellent show. From the links I've included here you can either download a podcast or listen on your computer. 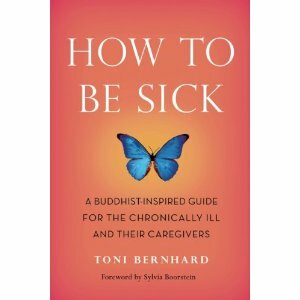 Don’t be misled by the title of Toni Bernhard’s new book, How To Be Sick: A Buddhist-Inspired Guide for the Chronically Ill and Their Caregivers. It’s really about how to be well, mentally and emotionally, when your body is sick, but even that seems like too narrow a description for this wonderfully inspirational book. Toni has the same chronic illness that I do, a serious immune system disorder with the silly name of Chronic Fatigue Syndrome (CFS). Like me (and about 75% of the people with CFS), she was struck ill very suddenly, in the middle of an active and productive life. She begins her book by telling her story, but the majority of the slim volume focuses on explaining how some basic principles of Buddhism can be applied to the various challenges faced by someone who is chronically ill. I found, however, that much of what Toni describes in her book could easily be applied to any person in any difficult circumstance. In fact, the very first thing she covers is the Buddhist concept of dukkha, which basically states that there are challenges to face in every life, that suffering is a normal part of life for everyone, and that acceptance of this fact can help to ease your suffering – not that the fact of your suffering will simply disappear (right now, there is no cure for CFS), but that you can do some things to ease the mental suffering that we all experience when things go wrong in our lives. Metta, loving kindness, is the act of well-wishing toward yourself and others. You settle on a set of phrases and then recite them silently, over and over. The phrases can be directed toward yourself, to others as a whole, or to particular people. May I reach the end of suffering. There’s no magic in these four phrases. The cadence and meaning just work for me. …The goal of metta practice is to cultivate loving-kindness in this fashion until it’s a mental state that arises effortlessly. At that point, you’ll find it increasingly natural to greet all living beings with kindness and friendliness. With this chapter, as with many others, I found that Toni put into words concepts that I’ve discovered myself during my illness – recognizing that everyone has challenges in life, treating others with kindness, understanding that change is a part of life, and accepting what is out of my control. Her book provides concrete guidance on how to internalize concepts like these that can lead to more peace and happiness, even in a life clouded by chronic illness. I devoured How To Be Sick, tagging pages, underlining key thoughts, and taking notes so that I could return to these fascinating teachings. At the end of the book, Toni includes a reference guide to help you pinpoint which concepts and practices will help for particular situations. I have already learned a lot, and I plan to refer back to this book often to try to bring more joy and tranquility to my own life. How To Be Sick is a captivating book that will help to improve and enrich the life of anyone struggling with chronic illness, anyone who cares about someone who is chronically ill, or anyone at all who has experienced suffering in his or her life (hint: that would be all of us!). For more information, visit Toni’s How To Be Sick website. I recently read and thoroughly enjoyed Sea Trails: Poems and 1977 Passage Notes by Pris Campbell, a unique book chronicling the author’s sailing trip down the east coast more than thirty years ago. Let me say upfront that I am not at all qualified to review a book of poetry. I haven’t read much poetry since high school English classes and – if I’m completely honest – I often don’t really “get” poetry. Despite this appalling lack of qualifications, I really enjoyed Pris’ book, which is a unique combination of original poetry, maps, photos, and excerpts from her ship’s log. Like me, Pris has a disabling chronic illness called Chronic Fatigue Syndrome (CFS), and we’ve become friends in the virtual online world of blogs. So that’s how someone who reads so little poetry ended up reading Sea Trails. And I’m so glad I did. I think that woman is me. isn’t going to show up to help you. In between poems, maps, pictures, and ship’s logs fill in the story. I felt like I was along on the boat with her. I’ve been sailing a few times with my mom and her husband, on the boat they keep in Stonington, CT, mainly to Watch Hill and Block Island in Rhode Island. I loved the parts of the book where Pris traveled to these same places I’m familiar with, but the rest of her journey was just as fascinating to me, both in terms of the sailing trip and her personal relationship. Sea Trails is beautifully written, with informative prose and imaginative poetry that even a non-poetic person like me can appreciate. I felt like I was along for the ride, enjoying the excitement of the wind in the sails.